Children in the Information Society Information and Analytical Magazine is focused on topics of socialization, education, personal and spiritual development of children in the age of global social and cultural transformations caused by rapid growth of information and communication technologies. The magazine is targeted at those who professionally work with schoolchildren and preschool children: teachers, nursery teachers, education managers, librarians, family and school psychologists. It has been published since 2009. The magazine was established within scopes of the Safe Internet Year in Russia with support of the Ministry of Communications and Mass Media of the RF. It is published with scientific support of the Psychology Department of Lomonosov Moscow State University and the Federal Institute of Education Development of the Ministry of Education and Science of the RF. Information support is provided by the Ministry of Education and Science of the Russian Federation. Main objective of the magazine is to study and realize a wide social and cultural context within which modern children and teenagers are developed. Basing on the latest Russian and foreign surveys the magazine describes how children and teenagers use their computers and the Internet at a school and at home, how information technologies affect their development, creativity, way of life, and how they communicate and cognize the outer world. Another important topic is interaction of children and adults in the information society. Magazine authors search for answers to questions how to overcome a cultural gap between generations and to provide efficient assistance to children in the virtual and real world. In the magazine negative side of computerization, among which is computer dependency, aggression in the Network, etc., are considered. By the present moment the magazine has engaged a wide range of authors – scientists, educators, psychologists, experts in fields of information and communication technologies, law, librarianship. Close connections with scientific publications of similar topics issued in European countries, USA, Great Britain have been built. The Foundation entered into agreements stipulated distribution of the magazine in schools of Moscow (School Book City Center SBEI) and Russian libraries for children and youth (Russian State Library). 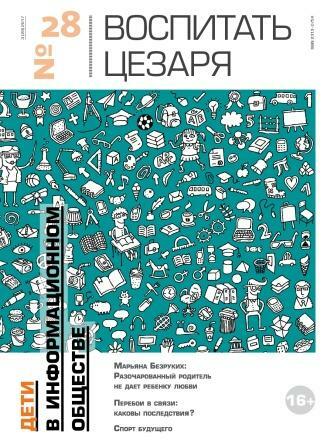 Electronic version of the magazine is available at: www.detionline.com/journal/ and website of Moscow Education Department. All issues published in 2009 to 2014 are generally available. You can subscribe to the electronic version here . The magazine is published quarterly. Publisher: Foundation Internet Development ( www.fid.su , www.detionline.com ).